Bike computers can be a tremendous help when riding. They have the ability to store a large amount of data. The rider can recall the information and use it to enhance their skills. These small companions are very handy and can capture live data while the biker is in motion. You can also attach several additions to many of the models, allowing you to expand their functions. Not all features within these computers match every dynamic that a rider needs. Sometimes the simplest unit can get the job done, but the right features can make your riding experiences easier and more exciting. When deciding which type of bike computer is best for you, consider what the computer will be used for while riding. Why are you interested in using a computer while riding? These questions will help you to figure out which model best suits your needs. Here are some interesting bike computers that may catch your interest and give you a good understanding of what they have to offer. 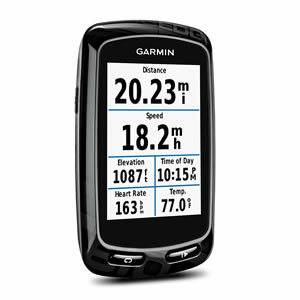 This unit is perfect for the avid rider who wants to guarantee that they are always with the most accurate GPS data. The unit is water resistant with IPX-7 and can be taken out on any type of terrain no matter how tough the course will be. With a color touchscreen, all of your data will be displayed with accuracy and without complications. The large buttons make it easy to make selections and to scroll through the browser. You won't have problems using the unit even with gloves on. This GPS unit work with over 130 ANT plus sensors that will record and read that will shift information from Di2 electronic shifting systems with a Di2 Wireless Unit and D-Fly. This unit is reliable and will always keep you informed of the correct data. Info is displayed by the positioning of the gear and is marked by a chart or graph on the display. The Magellan has audible turn instructions and Open street maps crowdsource trail data that will keep the biker always in touch with their environment. With this unit, you can discover new trails and roads that you and your bike can explore. The GPS unit has six custom cycling profiles that can show you trails and locations that are suited for your type of bike and riding style. The Magellan is ready to be your companion while on the road. This GPS unit is very reliable and can keep the rider informed about their location as well as others to explore. The Garmin Edge 810 will be able to live-track the rider with an instant upload, social networking capabilities, and weather information. The most dedicated bike rider will be able to track and record all of their performance information displaying very comprehensive data snowing speed, distance, time, heart rate information, cadence, elevation, power level, and your location. This unit has a touchscreen data display that will make the rider see all of the data at an eyes glance, allowing the rider to inspect the data without any problems. The screen is large enough to see the data on a 2.6-inch screen and customized color display. You can upload riding information via the Garmin Connect Mobile app that is located on your phone. This unit has improved navigational data with bike-friendly routing with the option of street or topography apps. You will always be prepared with this GPS unit and ready to go on any trail or roadway. With this Garmin unit, you will be able to locate other trails that match your riding interests and bike setup. The Bryton Rider GPS unit has a dynamic high sensitive GPS receiver for fast data gathering. This unit has a large 2-inch display that accurately shows all of the information that the bike needs. The unit is IPX7 waterproof meaning that you can take it to any location without any problems or issues of the unit getting damaged by the weather. There is a speed sensor located in the device and it can also display other types of information such as time speed, location, distance, heart rate, altitude, temperature, and calories. With this GPS unit, you will be able to see multiple platforms of information, allowing the rider to have a full thread of information to accurately review their performance. 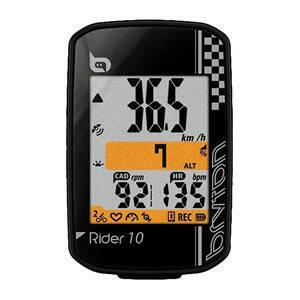 The Bryton Rider 10 has five custom data screens with a maximum of four data streams per page. This unit has a barometer for training on various terrains. The Bryton Rider 10 has a one-second recording mode and an auto pause. These features are customizable through the Bryton app. This GPS unit can be compatible with BLE Heart rate, Speed, and Cadence sensors for advanced training. To see the information in low areas, this unit has a backlight and will display battery information for convenience. This unit will alert you if the battery is getting too low. The Bryton Rider GPS unit has features that support phone calls, emails, and texts notifications. 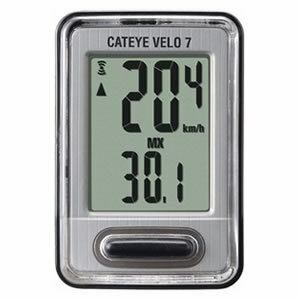 The CatEye is a reliable unit that displays all of your data such as current, minimum, maximum, and average speed. This unit will also show total distance, trip distance, elapsed time, pace arrow, and the time. The bike rider will be able to have all of the data that they need to see how they are performing while riding. This can help to enhance performance and increase your riding pleasure as well. This unit will also know when you are not riding and will adapt to your performance as well if the bike is moving or if it has stopped. This unit comes with a wired sensor that can measure speed. This bike has a dedicated power source and will be active for three years, so you won't have to worry about the device. This GPS unit allows you to be on the road without having to be concerned about its power levels. You can ride as long as you would like with the CatEye Velo 7. 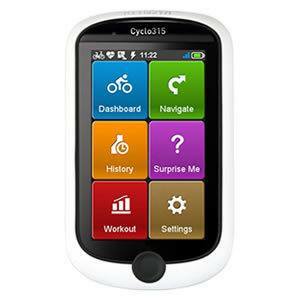 If you are a beginner at using GPS units for bikes, then this is the perfect device for you. The CatEye Velo 7 is perfect for those who are trying to learn how to navigate through such a device. This unit is ready for the dedicated biker who needs all of their information displayed accurately with GLONASS and GPS information. This allows the rider to receive faster and more stable positioning data from the unit. All riders will be able to see the information clearly with a high-resolution display with a 2.2-inch color 240 x 320 resolution screen. The screen has the ability to increase definition up to four times without any complications. This unit is ANT plus compatible that pairs with a standard ANT plus device which includes heart rate monitor, Cadence sensor, and speed sensor to acquire more data. The IGPSport is also Strava Compatible which allows you to upload your files to the free application or PC to share your adventures with other riders. This allows you to join a community of fellow riders with the same passion for riding as you do. You won't have to worry about the battery life on this device. It can hold a charge up to twenty hours. It is designed with a rechargeable lithium-ion battery. You will be able to explore all of the locations that you desire without worrying about the tie on your unit. 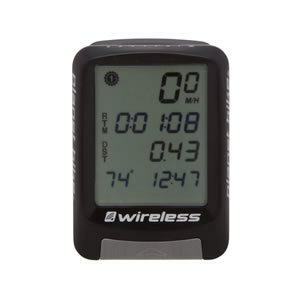 With nine functions for this wireless bike computer, you will never be without the information that you need to help increase your performance. The Planet Bike Protegé gives speed, ride time, max speed, clock, temperature, trip distance, two wheel sizes, and the average speed. This unit includes a universal handlebar/stem that is compatible with a bracket to increase the performance of the bike. The rider will never be without the correct information that they need to enhance their ride. With 4-Line Macro monitor LCD display, this device will be able to show various points of data. The unit shows five interests points of data to keep the rider informed. This unit is compact and secure with a digital wireless network that rids the device of wires and other cumbersome outward connections. The item is small and compact measuring at 40mm x 55mm. The Planet Bike Protege is affordable and can fit any type of budget. The unit strong and secure with reliable information. You can't go wrong with this GPS unit when out riding on a trail or on the roadway. Never be without the data that you need to maximize your ride. 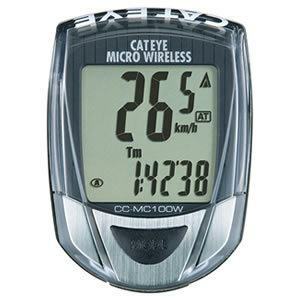 The Cateye Micro Wireless Bike Computer displays a multitude of data to the rider about current speed, odometer, clock, maximum speed, elapsed times, and two trip distances. You will always have the accurate data that you need to enhance the performance of your bike. Get the most out of your ride when you take this unit with you. There are several settings that are available to the rider. These settings are two speed, a wireless, odometer manual set, automatic power save, and dual tire sizes. By using the Cateye, you will be able to see all of the data that pertains to your ride. The unit is strong and durables and will be able to withstand the roughest of trails. The Cateye has several modes including sleep mode, automatic start and stop as well as manual start and stop. The device is also designed with universal bracket and sensor mounts. You will be able to see all of the information on the display even at night with a built-in backlit on the unit. This unit also comes with a stem and handlebar mount and a pacer arrow. The Cateye also has an interchangeable speed unit and a menu screen that offers a wide range of versatility to the rider. This wired bicycle unit is designed especially for cyclists that are training for an event. This unit gives the rider multiple inputs of information allowing them to accurately estimate their riding experience. This will help a rider prepare for various events by allowing them to check their average speed, current speed, and maximum speed. The Sigma has a timer, stopwatch, and a riding calculator that gives the rider all of the data they need to keep them up on their game by staying in shape. This unit also has an optional Cadence measurement that presents the rider with current and total trip distance. 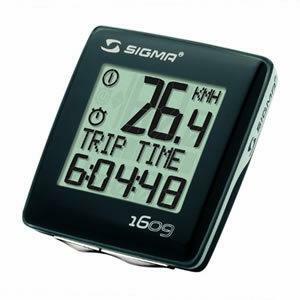 The Sigma BC is PC compatible, and has a temperature display and is adjustable to two wheel sizes. You can never go wrong with this unit as it helps you to navigate your ride with ease and comfort. You will be able to get the most out of your training and be able to track the information without any problem. The Sigma is ready to be your training assistant. The unit is well within the average budget and you won't have to worry about the device causing you complications while using it to track your progress on a trail. Bike computers can be a wonderful companion when out on the road or when traveling on a back trail. These wonderful devices have several features that can enhance your riding experience and give you an edge in upgrading your biking skills. There are certain key points that need to be addressed for acquiring the best bike computer on your bike. HOW LONG WILL THE POWER LAST: Will the unit have enough power to be able to stay out as long as you desire? A unit that has a short battery life will limit your ride and cause you to end your pleasure as well. IS THE DATA DISPLAY READABLE: The information that is being displayed on the screen must be readable for the rider to view. If the information being displayed is too small for you to read, then the unit is useless. The resolution must be adequate enough for the rider not to have eye strain. The rider needs to be able to quickly see the information without continuously glancing down to recheck. ARE THE SENSORS POWERFUL ENOUGH: The GPS unit needs to have an adequate amount of sensors to operate properly. Does the unit have the adequate sensors to receive the data so that it can be displayed to the rider with accuracy and speed? When considering the sensors that are built into the unit, the strength of the receiver isn't the only important aspect, but what types of information does the sensor receive. HOW ACCURATE IS THE DATA: The information that is sent by those who have developed the unit, will the data they end to the unit be accurate and useful to you and your riding experience. If the information is useless to you, then the unit is as well. 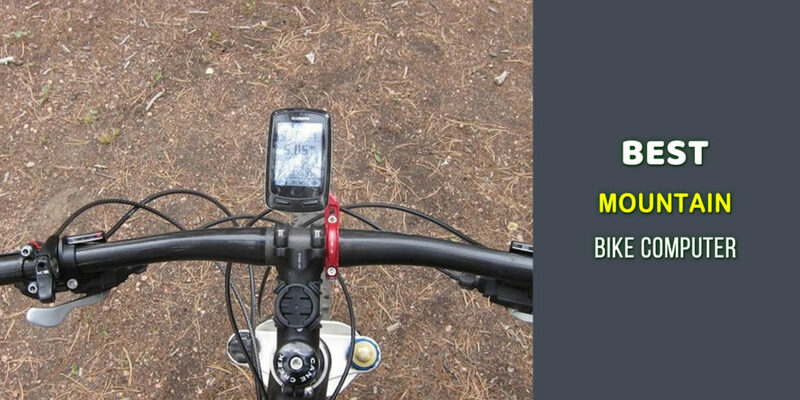 Make sure that the information that the unit displays are something that will be used on your mountain bike ride. CAN YOU SEE THE INFORMATION ON THE DAY AND AT NIGHT: The device should be able to show the information on the display during the day or at night. By having this extra advantage, the rider won't have to be hindered by not being able to see the data because of sun glare or low light from the night. WHAT ARE EXTRA FEATURES INCLUDED: What are the extra features of the unit such as being PC compatible? If the unit can link to your computer, then you will be able to increase its potential. This function can expand your device greatly by allowing you to add your own information or specific data like changing the display to accommodate your personal tastes. Expandable functions allow your device to be suited to your personal need and tastes. Another important aspect of the unit, is will it broaden your experience while riding? Some units have the ability to show riders extra trails that are compatible with your riding style and bike. This can enhance your pleasure when riding, allowing you to get the most out of your trip when you are on your bike. Does the device monitor body data such as heart rate sensors? By showing health data, the rider will be able to get increased insight into how they react physically while riding on the trails. This can expand the rider's experience in trying to understand how they can become a better rider. Having the correct mountain bike computer can make a big difference in your ride. Features, sensors, and durability are some of the key points that make such a device a value to the serious bike rider. There are many options that must be considered before weighing the cost and benefits of an MTB compute system. Being reliable is one of the most important aspects. If it breaks down, then you will discover that it wasn't worth the money and time that you spent on it. 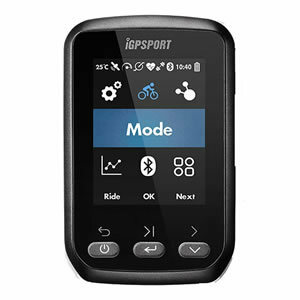 After reviewing several bike computers, we have come to the conclusion that the best choice is the IGPSport OPS Cycling Computer IGS60, due to the fact that it allows the rider to discover to connect with other riders and has the least amount of issues from previous customers. This unit can be adapted to be suited to various bikes and riding styles. This advantage can enhance the experience of the ride and give the bike rider a greater command over the road and back trails that they love so much. Best Mountain Bike Helmet – Top 10 Models Compared! Best Road Bike Saddle Reviews & Guide In 2019 – Top Selections From Expert! Best Road Bike Helmet In 2019 – Top 6 Models Reviewed By Experts! Best Bike Rack For Car In 2019 – Lightweight Models Reviewed! Best Mountain Bike Lights In 2019: Top Models Reviewed! 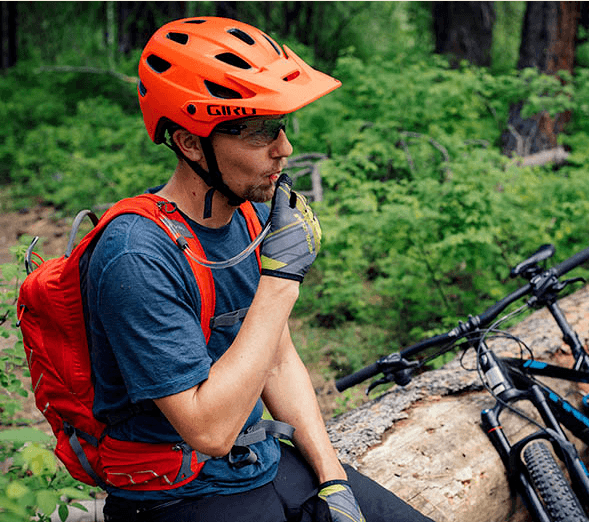 Best Mountain Bike Helmet For 2019 – Top 10 Models Compared!